The BVM-X300 30-inch* 4K OLED master monitor is the flagship model in Sony’s professional monitor line-up. This high performance TRIMASTER EL™ OLED monitor includes unparalleled black performance, colour reproduction, quick pixel response, and industry-leading wide viewing angles. 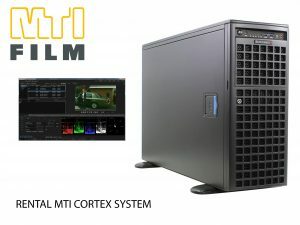 In addition, the BVM-X300 has enhanced interface and features for High Dynamic Range (HDR) live production, as well as a wide colour gamut conforming to DCI-P3 and most of the ITU-R BT.2020 standard**. By unleashing these superb features and qualities, this master monitor makes an ideal tool for a wide range of applications such as colour grading and QC (quality control) in the 4K production workflow. * 750.2 mm viewable area, measured diagonally. ** The BVM-X300 does not cover the BT.2020 colour space in full. Sony’ s unique OLED panel is equipped with 4K (4096×2160) pixels. This master monitor is ideal for covering cinema applications and 4K colour grading. Offers never-seen-before image reproduction – the black is black, and peak brightness can be reproduced more realistically with colours that are typically saturated in a conventional standard dynamic range. When [S-Log3(Live HDR)] is selected, the BVM-X300 reproduces an S-Log3 HDR image with System Gamma, which is optimized for HDR live production. EOTFs of S-Log3, S-Log3 (Live HDR), S-Log2, SMPTE ST2084, HLG SG1.2 and HLG SG Variable are supported. The BVM-X300 supports a wide colour gamut conforming to DCI-P3 and most of the ITU-R BT.2020 standard*. Furthermore, it supports S-GAMUT3.cine and S-GAMUT3. 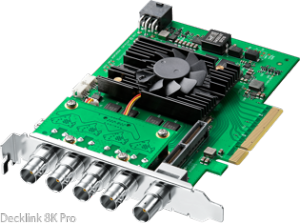 The BVM-X300 can display various formats, such as 4K, 2K, UHD and HD at various frame rates. 3G/HD-SDI Quad link and Dual link are supported for 4K/UHD and 3G/HD-SDI Single link and Dual link supported for 2K/HD. XYZ signals as well as RGB and Y/CB/CR are supported. The BVM-X300 monitor can display various markers, including an aspect marker, safe area marker, and center marker. When Rec.2020 colours out of Rec.709 or DCI-P3 colour gamuts are detected, this master monitor indicates this with a zebra pattern over the relevant area of the picture. 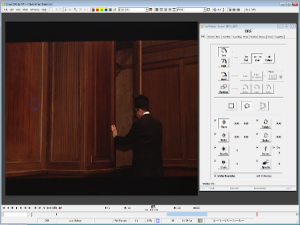 Gamut Marker is a convenient feature that instantly tells viewers to such colours. 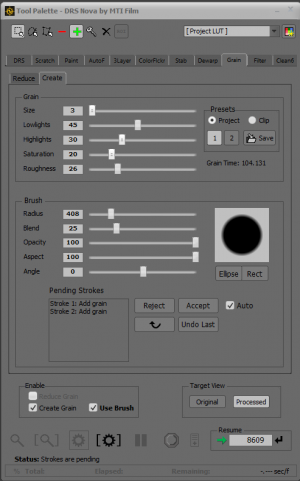 Relative contrast modes (1/2, 1/3 and 1/4) quickly adjust contrast and allow you to monitor HDR images with higher peak luminance. In addition to the intrinsic high-contrast performance of the TRIMASTER EL™ OLED panel, this monitor provides High Dynamic Range mode. This offers never-seen-before image reproduction – the black is black, and peak brightness can be reproduced more realistically with colours that are typically saturated in a conventional standard dynamic range. This mode can brilliantly express sparkling town lights and stars in the night sky. The BVM X300 offers industry leading wide colour gamuts. It complies with the DCI P3 colour gamut and supports the ITU R BT.2020 colour space. S GAMUT3.cine* and S GAMUT3* colour space are also supported to achieve coherent cinematography production workflow with Sony’s 4K cinematography cameras. * The BVM-X300 does not support the ITU-R BT.2020, S-Gamut/S-Gamut3 and S-Gamut3.cine colour space in full. This master monitor supports HDMI and both 2 Sample Interleave (2SI) and Square Division signals on SDI. HDMI support HD signals and 4K/UHD signals up to 50p 60p YCbCr 4:2:2 12-bit. It also supports HD signals including 3G-SDI single link for 1920 x 1080/50p 60p, YCbCr 4:2:2 10-bit, and 3G-SDI dual link for 1920 x 1080/50p 60p, 4:4:4 12/10-bit. 3G/HD-SDI Quad link and Dual link are supported for 4K/UHD and 3G/HD-SDI Single link and Dual link are supported for 2K/HD. XYZ signals as well as RGB and Y/CB/CR are supported. A key advantage of TRIMASTER EL is the fact that each pixel can be turned completely off. No other display technology is able to offer this. TRIMASTER EL is capable of reproducing accurate black with each individual pixel, enabling users to evaluate each picture image faithfully to the signal. The TRIMASTER EL gray-to-gray switching speed (measured in microseconds, μs) is much faster than that of the LCD (measured in milliseconds, ms). *This fast response benefits a variety of applications and uses. 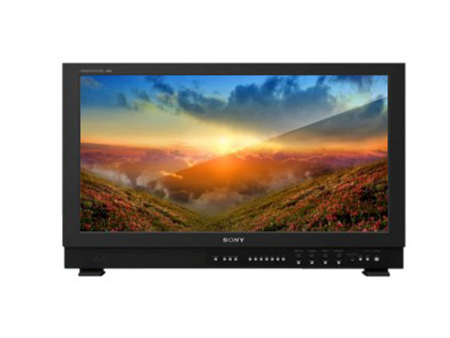 Sony BVM-X300 OLED TRIMASTER EL provides a superior viewing angle performance as compared to other flat panel technology available on the market. It makes easier to evaluate picture performance with a few viewers to see the same colours and contrast. The BVM-X300 supports conventional 2.2, 2.4, 2.6, and CRT gamma. 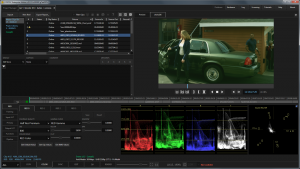 In addition, HDR (High Dynamic Range) EOTF tables are provided for 2.4 (HDR), SMPTE ST 2084, S-Log2 (HDR), S-Log3 (HDR), SMPTE ST.2084 (HDR), HLG SG 1.2 (HDR) and HLG SG Variable (HDR). 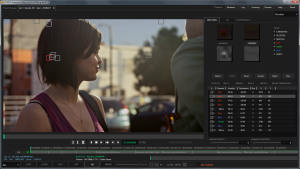 S-Log3(Live HDR) offers easier camera control for High Dynamuic Range (HDR) live production. The TRIMASTER EL OLED panel’s superb quick response and scan-driving performance deliver stunning picture quality with virtually no motion blur. However, there is a possibility that flicker is just visible when a lower frequency signal is displayed (24p, 24PsF, and 50i). To remove visible flicker, the BVM-X300 is equipped with Flicker-free mode. The BVM-X300 monitor offers an Interlace Display feature for 1080i input. This enables input to be presented as a true interlace display. As with the Native Scan function, Interlace Display mode offers faithful reproduction of the input signal, and the displayed interlace fields are free from the picture degradation that can occur as a result of typical I/P conversion processes. The BVM-X300 monitor can display various markers, including an aspect marker, safe area marker, and center marker. In addition to this flexible selection of marker types, detailed display settings of each marker are offered. For example, the colour, brightness, horizontal/vertical position, and width of aspect markers can all be controlled, while the height and width of safe area markers can be adjusted.